Have you experienced a sudden weight loss or gain? Do you feel tired often or have trouble sleeping? Are you tolerant of heat or cold? If so, you may have a thyroid disorder. 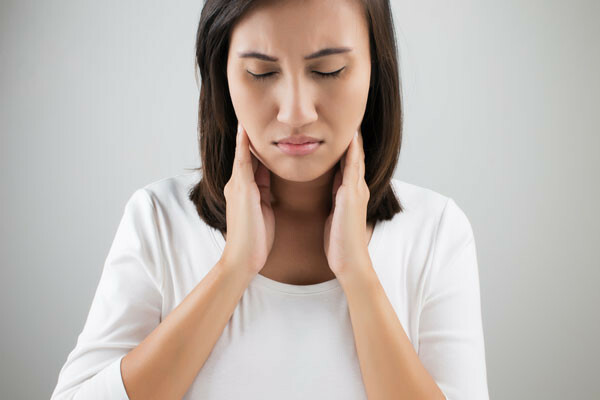 Many people don’t know about the thyroid, but it is located in the neck and plays a major role in the way your body functions. This organ is part of the endocrine system, which sends messages to various parts of the body, via hormones. When you hear the word hormone, puberty may instantly pop into your mind, but there are five groups of hormones (based on chemical structure), an they each have different jobs. The one’s released into the bloodstream from your thyroid are thyroxine (T4) and triiodothyronine (T3). These hormones regulate the body’s metabolic rate, or the rate at which every part of the body works, including body temperature, rate at which calories are burned and how fast the heart beats, among other things. 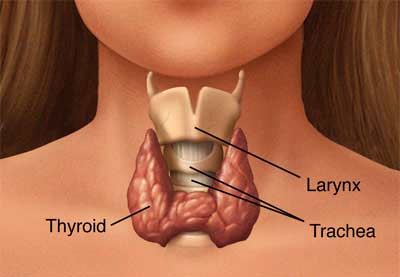 When the thyroid releases too much or too little hormone, all sorts of problems occur. Often, patients go to see their doctors when they have some of these symptoms, and the doctor misdiagnosis the patient. If the condition goes untreated, it could result in extreme damage to the body; and in the most advanced stage of hypothyrodism, called myxedma, it can cause death. The symptoms of the most advance stage include: drowsiness, intense intolerance to cold, followed by profound lethargy and consciousness. Sometimes the antibodies that attack the thyroid also attack the eyes and result in swollen tissue that pushes the eyeball forward, causing them to look like they have been popped out of their sockets, or are very big. Four-time Olympic champ, Gail Devers, was critically ill for a year before she was properly diagnosed and treated for hyperthyroidism. Dr. Stewart Albert of Saint Louis University says, “The condition may be there for months…it sneaks up on people.” He also says that both conditions are more common in women than men; but hyperthyroidism is more common in those ages 20-40 and hypothyroidism is common in older people. They symptoms can be very vague and mistaken for other conditions, so individuals should have a TSH blood test to determine if they have a thyroid disorder. In order, to have TSH test, your primary care physician will have to refer you to an endocrinologist.